" East African Campaign | 03.08.1914 to 25.11.1918 | 5 " Battle of Mons | 23.08.1914 | 1 " Battle of Le Cateau | 26.08.1914 | 1 " First Battle of the Aisne | 13.09.1914 to 28.09.1914 | 2 " Battle of La Bassee | 10.10.1914 to 18.10.1914 | 2 " First Battle of Ypres | 19.10.1914 to 22.11.1914 | 14 " Gallipoli Campaign | 17.02.1915 to 09.01.1916 | 23 " Battle of Neuve Chapelle | 10.03.1915 to 13.03.1915 | 2 " Second Battle of Ypres | 22.04.1915 to 25.05.1915 | 14 " Battle of Festubert | 15.05.1915 to 25.05.1915 | 1 " Battle of Loos | 25.09.1915 to 08.10.1915 | 8 Battle of Hohenzollern Redoubt | 13.10.1915 to 19.10.1915 | 1 " Siege of Kut | 07.12.1915 to 29.04.1916 | 4 " Battle of the Somme | 01.07.1916 to 18.11.1916 | 65 " Second Battle of Kut | 23.02.1917 | 1 " British capture Baghdad | 08.03.1917 to 11.03.1917 | 1 " Second Battle of Arras | 09.04.1917 to 17.05.1917 | 17 " Battle of Messines | 07.06.1917 to 14.06.1917 | 5 " Third Battle of Ypres (Passchendaele) | 31.07.1917 to 10.11.1917 | 12 " Battle of Cambrai | 20.11.1917 to 03.12.1917 | 2 " German Spring Offensive | 21.03.1918 to 05.04.1918 | 19 " Hundred Days Allied Offensive | 08.08.1918 to 11.11.1918 | 20 "
House: No 5, 1896 - 1901. Regiment: Black Watch. Died: 25 September 1915 aged 33 in France. Killed in action at Loos. Born 9th July 1882. Son of Leslie M. and Jeanie Amelia Balfour-Melville, of New Club, Edinburgh and 4 Thistle Court, Edinburgh. Upper IV�V. School Prefect. XI Football 1898-1900 (captain); XI Cricket. Oriel College, Oxford; B.A. 1906; played Association Football v. Cambridge 1902-05 (captain). 3rd Bn. Attd. 2nd Bn. Black Watch (Royal Highlanders). 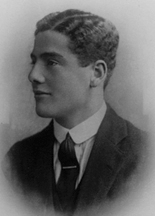 He played football for Oxford University, captaining the side in 1905. A talented cricketer, he kept wicket for Scotland. He was a chartered accountant. 'In the last year of his life, when he had joined the Army, he lost much of his shyness, and "came out" a great deal, so that people came to know and appreciate him. A letter from his Commanding Officer testifies to his great popularity with officers and men. It continues: "He was sniped through the head and killed instantaneously at the furthest point reached by the regiment in their charge. To have kept his men together, and reached such a point is a feat of gallantry and dash beyond all praise." He was killed in France on September 25th aged 33". ' (Malvernian, Nov 1915). House: No 1, 1911 - 1913. Regiment: South Staffordshire Regt. Died: 25 September 1915 aged 19 in France. Killed in action at Loos. Son of Henry Peters Bone (Member of the stock exchange) and Lilian Maude Bone formerly Watney, of 5, Hamilton Mansions, Hove, Sussex, and 28 Adelaide Crescent, Hove. R.M.C. Sandhurst; 1st Bn. South Staffordshire Regt. 1915. 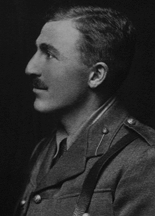 'Probably few of the fellows, even those in his own House, got to know Harry Bone well; self-contained and fond of working at his own hobbies he made few friends; but those who penetrated below the surface of his affected indifference knew him for what he really was, a sound, clean-minded, honest English school-boy. 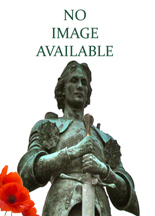 When he joined his regiment in France, he at once showed the real grit that was in him; he was popular with his brother officers, and his men were devoted to him. In the charge in which he lost his life, the Allies cut right through the German lines, but only one officer was left to return with the tale. He was killed in France, September 25 � 27, aged 19.' (Malvernian, Nov 1915). Brother: Cyril Bone (age 11). House: No 4, 1901 - 1905. Regiment: Kings Own Scottish Borderers. Died: 25 September 1915 aged 29 in France. Killed in action at Loos. Son of Ralph W and Florence G Maxwell, c/o Grindlay & Co. b. 1886. Shell�Lower VI. School Prefect. Ledbury Cap. Exeter College, Oxford; B.A. 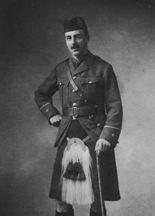 1909; King's Own Scottish Borderers 1908; Captain 1915. Great War (overseas), with 6th Batt. 'He was a boy of unaffected nature and a most engaging personality. 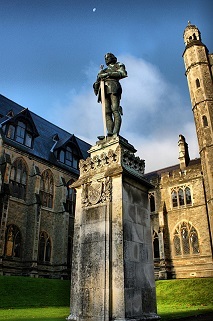 A graduate of Exeter College, Oxford, he entered the Regular Army and was promoted Lieutenant in the K.O. Scottish Borderers in 1909. He became Captain in the Army in April last and served as temporary Major of the 6th Bn. from Dec. 1914. He was a keen soldier and (as his father writes) by falling in action met the death which he preferred. He was killed in France during the heavy fighting on Sept, 26th.' (Malvernian, Nov 1915). House: No 1, 1903 - 1905. Regiment: Yorkshire Regt. Died: 25 September 1915 aged 27 in France. Killed in action. Born: Jan 9th 1888. Son of J. Richardson, 94 Sydney Place, Bath and Sneaton Hall, Whitby. Yorkshire Regt. 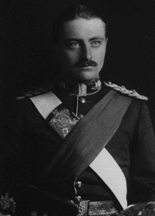 1908; Lieutenant 1911. Great War, 2nd Bn. Yorkshire Regiment. 'It was reported that a few Germans were actually in the Quarry and a bombing section under Lt Hill was despatched to deal with them. Lt Hill was almost at once reported shot and the company then, still believing, the enemy could be but few in number, sent Lt Brooksbanks platoon to clear them out. However a message soon came back from the platoon to say that there must be quite 50 of the enemy in the place & that Lt Brooksbank had been wounded. D Coy under Capt Richardson was just about to withdraw & was ordered to clear the Quarry with B Coy to support it. Capt Richardson was mortally wounded as he rose to move.' (Unit War diary). 'Informant states that on Sept 26th 1915 at Loos, about 2 o'clock am, orders were given to fix bayonets, and to proceed down the 1st Quarry from the British Lines at Loos in order to clear them, and whilst in the quarries informant was in close proximity to Captain Richardson, and heard him fall and make exclamation in agony. Informant reports that Captain Richardson was shot. The trenches were afterwards retaken by the enemy and informant saw no more of the body, being injured himself.' (Reference: Sergt I Sales. 6392, 2/19 Yorks Regt, D Co., Lily Lane Hospital, Manchester, October 27th 1915). House: Sch, 1901 - 1906. Regiment: Ox & Bucks Light Inf. Died: 25 September 1915 aged 28 in France. Killed in action at Givenchy. Battle: Battle of Loos. Cemetery: Loos Memorial Panel 83 to 85. Son of Rev. R. W. Vidal, Bayford Vicarage, Hertford, b. 1887. Upper V�VI. Minor Scholar. School Prefect. President of Debating Society. President of Athletics. XI Cricket 1905,06; XXII Football; Ledbury Cap. Exhibitioner and Heath Harrison Exhibitioner, Brasenose College, Oxford ; B.A. (Fourth Class History) 1909. Assistant Master at Radley College 1909. 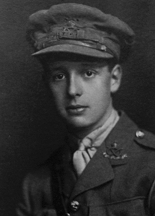 Great War, 2nd Lieutenant Oxford and Bucks L.I. 1914. 'He went to Brasenose with a Heath Harrison Exhibition in 1906, took his degree in 1909, and had been a master at Radley from that time till the war broke out, when he took a commission in the Oxford and Bucks Light Infantry. He was five months at the front, went through the second battle of Ypres in the spring, and was killed by a shell on Sept. 25th at Givenchy. Full of vigorous life, simple and straightforward, he had a splendid influence over the many friends whom he has left behind him; he had grown steadily in all that goes to make a noble character. (S.R.J.). A friend who was in the School House with him writes: '-To say that he was an athlete, a man of warm affections and wide interests, in fact what is called 'a good fellow,' is to say only half. Like his School House friend Clegg, who has also been killed in action, Vidal had, besides all that, a strong and purposeful mind. It was this combination that made him a leader among Malvernians."' (Malvernian, Dec 1915).